Hiring the right people doesn't necessarily mean an appointment will be successful and high attrition from new starters is costly in terms of the recruitment costs and lost productivity. 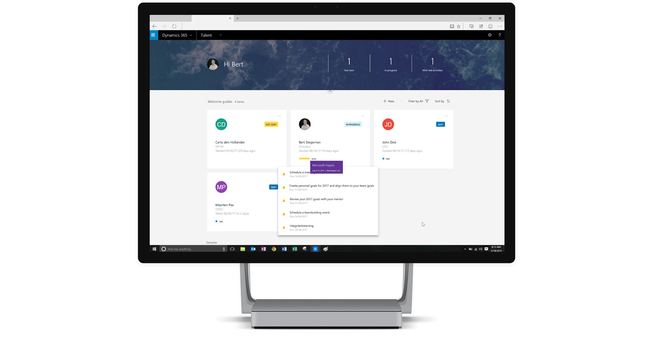 The new on-boarding experience in Dynamics 365 Talent provides added support to manage these logistics. During its launch event, Microsoft demonstrated how Dynamics 365 will streamline on-boarding processes to help new employees get started so they can fit in with the organisation's culture and quickly contribute to its growth. These capabilities include on-boarding templates that feature a series of activities which need to be completed by HR teams and successful candidates prior to their arrival. For example, this could include running a background checks on the individual and following up references. These activities could also include getting the candidate to provide tax information, submit visa information or to complete a non-disclosure agreement. This provides clear visibility from a single interface about the state of readiness for both the candidate and the organisation ahead of the employment start date. Templates can also be used to share more information that will prepare the individual for their first day. 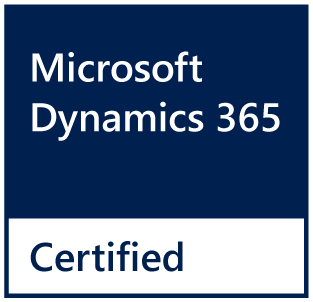 Dynamics-365-Talent-Onboarding-App This could include logistical detail such as parking information and building security processes and details of the training they will need to complete. This can also provide more information about their role, and how this contributes to the success of the business. Using LinkedIn, on-boarding template can introduce the individual to their new work colleagues enabling them to connect with these contacts ahead of their arrival. This also highlights other contacts within the organisation who they may already know, this can include individuals who attended the same school, or who also worked previously for the same employer. Once defined, each template can be adapted and re-used to for future on-boarding processes. FourVision HR Plus International can implement the Talent Apps in a fixed amount of time. Standard is the key word. Depending on the size of your organisation and HR processes, the implementation takes (from) 15 days to bring the Talent app live, including training and data migration. FourVision is the System Integrator for the HR modules of Dynamics 365. As Cloud Solution Provider you can order your software directly at our website, with just one click on the order button. After the confirmation of the License agreement, Four Vision can roll out a complete HR system for you in 4 hours. With support from start until go live guiding you through the implementation process in a fixed amount of time. We will explain the predefined setup and provide an easy way to import your HR data. A training will end the implementation process and you are ready for the digital HR transformation and hire your first new employees. Together with Microsoft, FourVision can host your talent environment. You can rely on our support for any question, service call or license order regarding the complete Dynamics 365 solution, including Talent.